During this week there have been various reports about Windows 7 passing Windows XP in the U.S. The numbers used come from StatCounter a web analytics service. 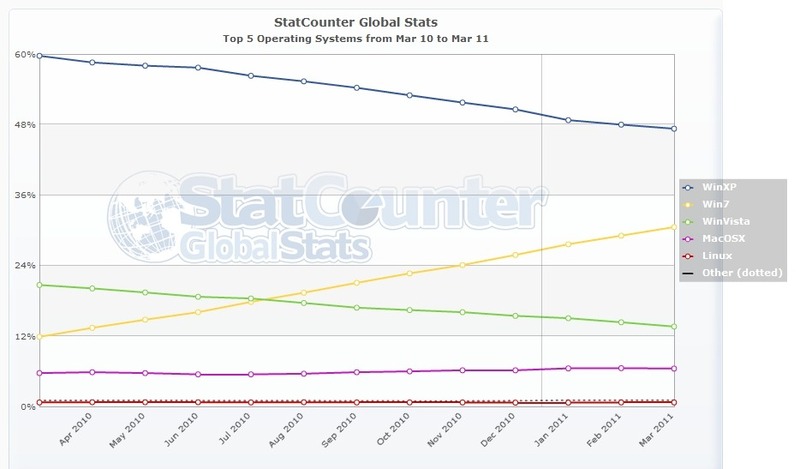 While Windows 7 has passed Windows XP in the U.S, we’re not yet there globally. If you’re interested finding out how Windows 7 does in your region, simply go to StatCounter and select your region. Beside the operating system, you can also get statistics about Browser, Screen Resolution, Mobile Browser, Browser Version usage and a few more. Will be even more interesting to see where this goes in the future.